People like to get solutions to their question and that in swift time duration. This is the exact point where live chat software were introduced. It is one of the best ways of providing instant answers to users questions. In the past, we have already covered an article on how to add a live chat support in blogger, but there are lots of other companies providing more fascinating and interesting features to its users. 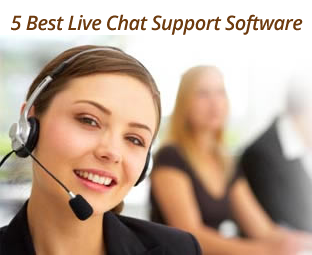 In this article, we will show 5 quality live chat support software for your Blogger site. 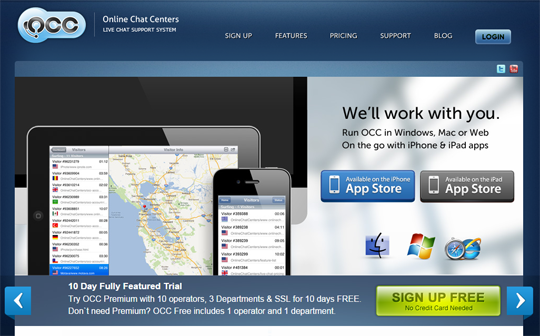 PureChat is a popular free live chat support solution for website owners. It is easy-to-use with friendly interface and extremely straightforward to integrate into your site. It provides an admin dashboard from where you can respond to multiple chats at the same time, which provides you the ability to handle crowds of customers in no time. PureChat also provides a statistics tab, from where you can take a quick look to the no of users that are getting helped from which operator. You can add multiple support agents, with different usernames, passwords and etc. It even provides you the ability to search achieve and view the old chat history of any user you like. On the top of that, it is SSL secure which means the data is nicely protected. 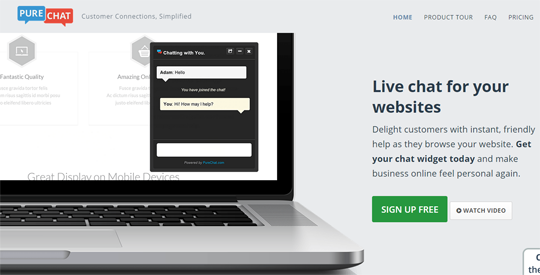 MyLiveChat is cool free live chat software that is ideal for online business websites. You can easily integrate it in your blogger site, if not we have written tutorial about integrating MyLiveChat in blogger. It allows you to not only interact with users by solving their queries, but also allows real time traffic monitoring, providing the location of the user, refer, visitor path, current page and etc. You can also invite users to chat with a simple click. t comes with lots of customization capabilities than most of the other sites. You can do branding by changing the logo on the chat box and etc. OnlineChatCenters is providing chat support since a long time and knows how these things works very well as they provide quite a handy feature. They offer three plans, FREE, Premium ($5 per month) and Enterprise ($50 per month). OCC comes with multiple languages, so if your site is non-English you can choose from the list of the best languages available for you/Awesome right? Despite of its awesome features, it is fairly affordable for new startups. 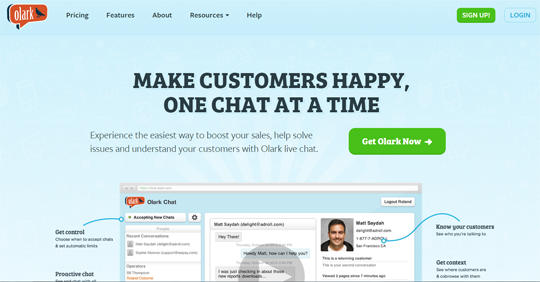 Olark is not a free chat support solution, it is a premium chat software which means features should be better and more powerful than all of the above. There are some third-party apps that connect with Olark and allows you to chat with customers on the go. 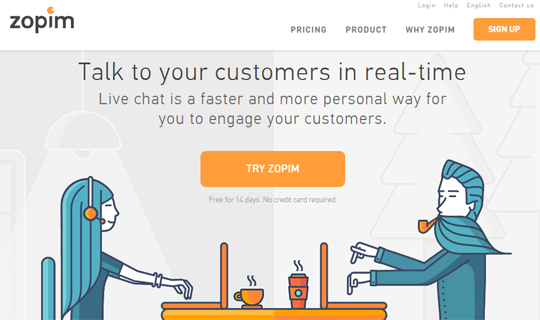 Zopim is another premium leading live chat service provider that is being used my majority of trusted commerce sites. It is easy to integrate with Blogger. They also offer a free plan so that is a plus if you want to first make sure it is perfect for your site. It not only adds a live chat to your site, but also provides user analytics, logs, emails and etc. You can customize the widget according to the appearance of your site. "Hey that’s a great list! I use Live2Support for my website but I have tried Olark, Zopim & Live Chat inc., But they were a little expensive for my small business. So, L2S was a better budgeted choice for me. Can you please prepare a list of the most budgeted live chat as well? I think it will be a great help for the small businesses & bloggers because I faced a lot of problems finding a budgeted live chat. WP-chat plugin on wordpress should also be on this list. It is the best I have used so far.